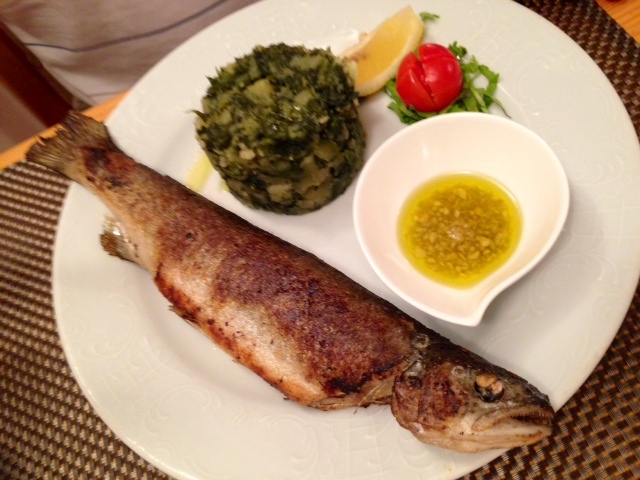 Enjoying a freshly-caught local trout near Plitvice, with some dry local white wine. 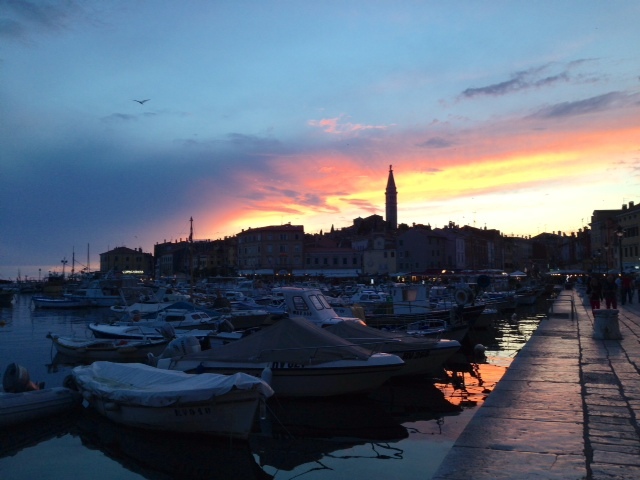 Then we traveled over to the Istrian coast, staying in the beautiful old town of Rovinj and enjoying truffle pasta and house wine while watching the sunset. 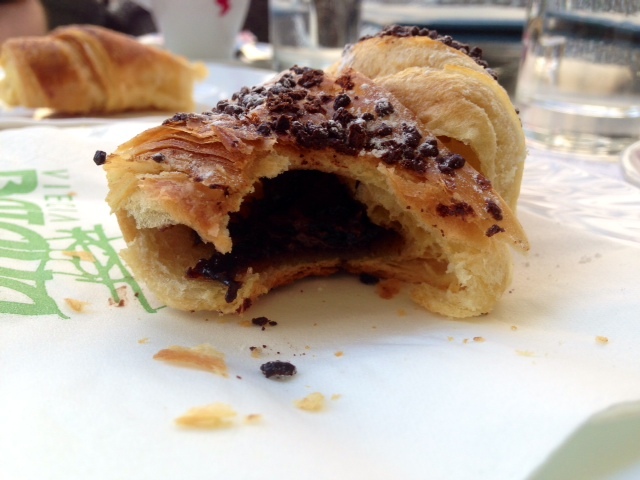 We fueled up with deeelicious cappuccinos and chocolate croissants the next morning before hitting the road to explore the hill towns of Istria. 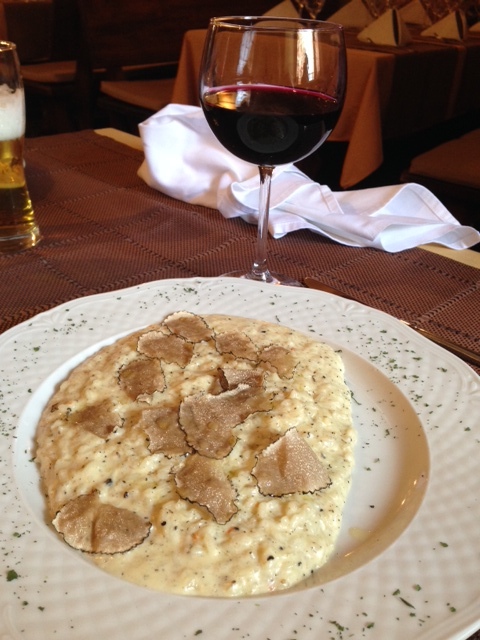 Before driving on to Slovenia, we ended our afternoon with an amazing lunch inside the town wall of Motovun with truffle risotto and local Teran wine. 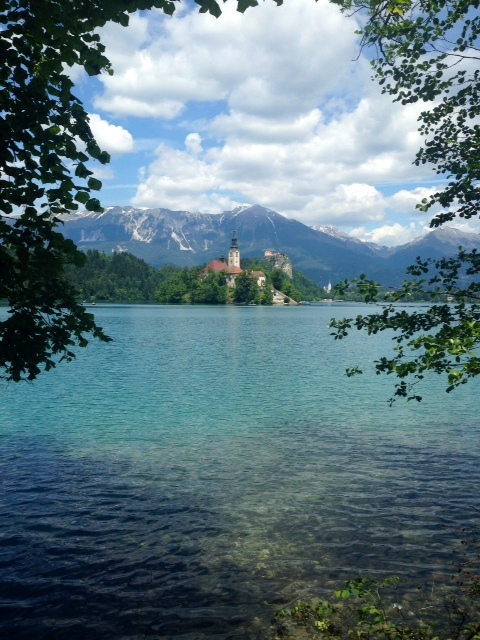 In Slovenia, we visited the beautiful Lake Bled and Lake Bohinj, the seaside town of Piran, and took a drive through the Julian Alps. 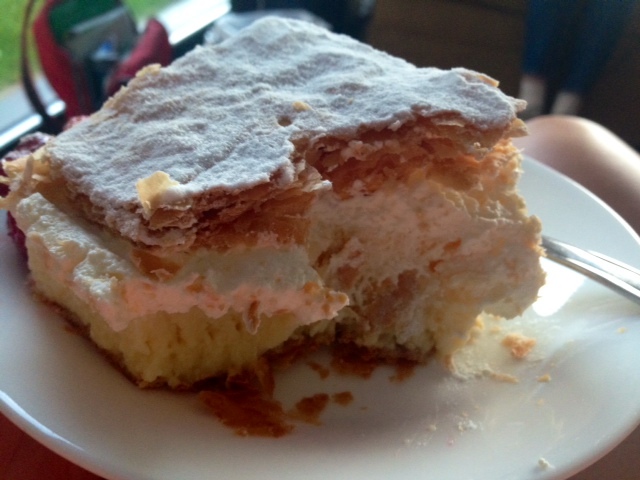 We brought some kremšnita (Lake Bled’s famous cake) back to the house for a creamy, flaky dessert that night! 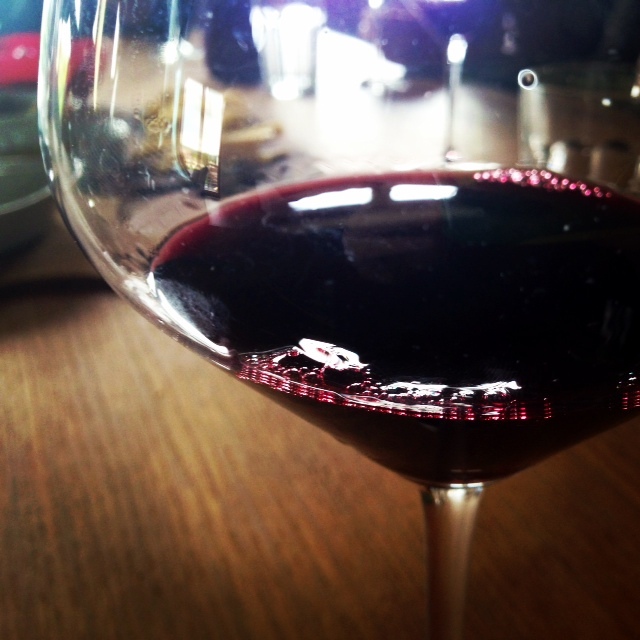 One afternoon we spent a few hours with Uroš and Sonya Rojac, who run a family winery in Slovenian Istria. They showed us their operation, discussed Slovenian culture and identity, and drank their amazing organic wine! 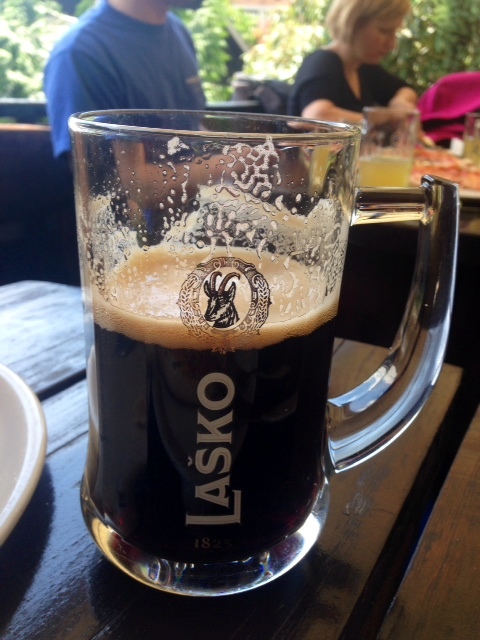 Mmmm, local dark Lasko (“lashko”) Slovenian beer! 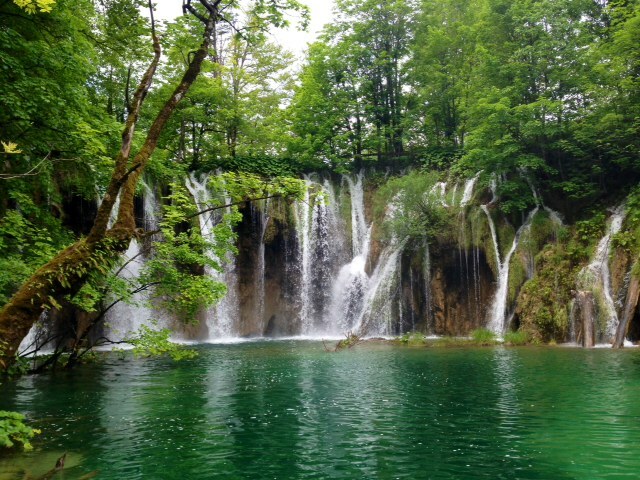 For more on our Croatian & Slovenian adventures, follow me at One Girl, Whole World! It definitely surpassed my expectations–absolutely stunning!